The star had a surprising poster taped to her dressing room door, causing alarm among her colleagues on the sitcom. Kevin Sussman (who plays the role of Stuart) shared a photo of the actress' door on instagram, on which an unexpected message was written on a bright green warning sign. Did a double take when I passed @kaleycuoco 's dressing room this morning. Ha! Cuoco, who has never hidden her love of dogs, with a little drawing of a dog as her profile picture on Instagram, did not hesitate to respond to her friend's publication: "Are u really THAT surprised?!" to which Sussman replied: "Nope! Btw, Blueberry is so cuuuute! Must. Not. Steal...". Karl Cook, Cuoco's husband, gifted the actress the puppy for Valentine's Day, and the actress has already shared a photo on Instagram, welcoming him into the family. The best Valentines Day presents , are the ones you rescue ?? welcome home, Blueberry! After 12 seasons this beloved sitcom draws to an end. 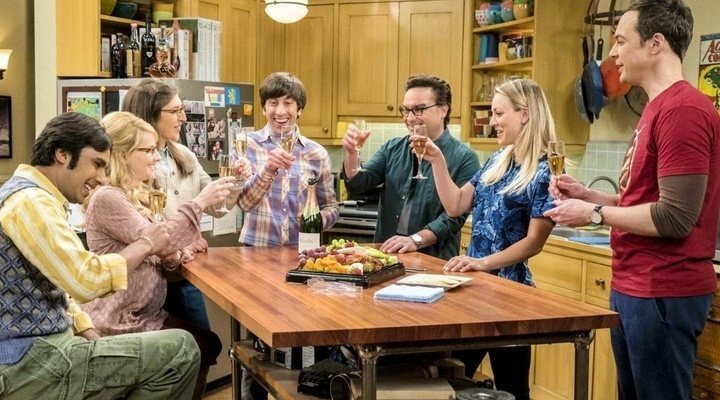 On the 16th May the final episode will be streamed in the United States and we will have to say a final goodbye to Sheldon (Jim Parsons), Leonard (Johnny Galecki), Penny (Kaley Cuoco), Howard (Simon Helberg), Raj (Kunal Nayyar), Amy (Mayim Bialik) and Bernadette (Melissa Rauch). Although are many theories about what will happen, we still do not know for certain what to expect. It will be a double-length episode, lasting for an hour, and without a doubt not a dry eye will be left as the credits roll!